It might be stripped back and lo-fi, but there's no shortage of imagination and entertainment in this crowd-pleasing showcase of extraordinary acrobatic skills, drama and physical comedy. If you think you've seen all circus has to offer, this show should be right up your alley. Created by Casus Circus, Driftwood starts with a blank canvas, upon which a versatile ensemble of five create a world of unique acrobatic shapes, testing and retesting the physical limitations of their bodies. 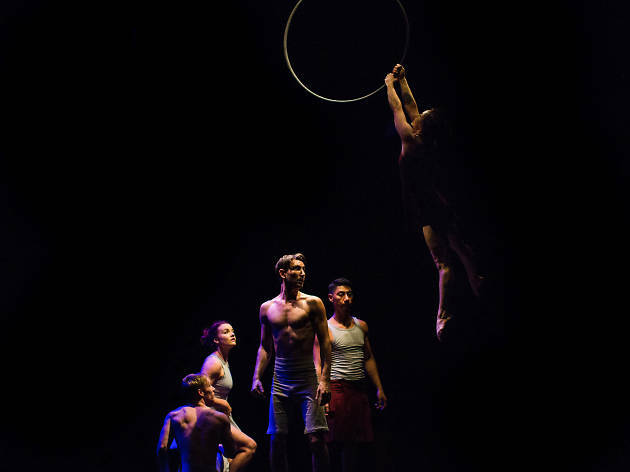 You'll see a trapeze and hoops used in ways you'd never imagined before as the performers work together to re-imagine exactly what circus can be in this moving and deeply human show. Casus Circus is based in Brisbane – Australia's unofficial contemporary circus capital – but has travelled the world with its shows, including the award-winning Knee Deep, which picked up five star reviews at Edinburgh Fringe, a Green Room Award in Melbourne and the award for best circus and physical theatre at Avignon Festival Off. The company was formed by Natano Fa’anana, Lachlan McAuley and Jesse Scott. 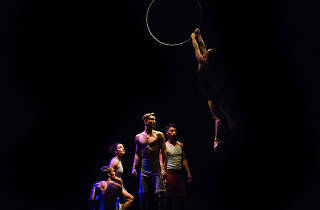 Driftwood is part of the Sydney Opera House's autumn season, and is a great pick for Sydney circus lovers of all ages.